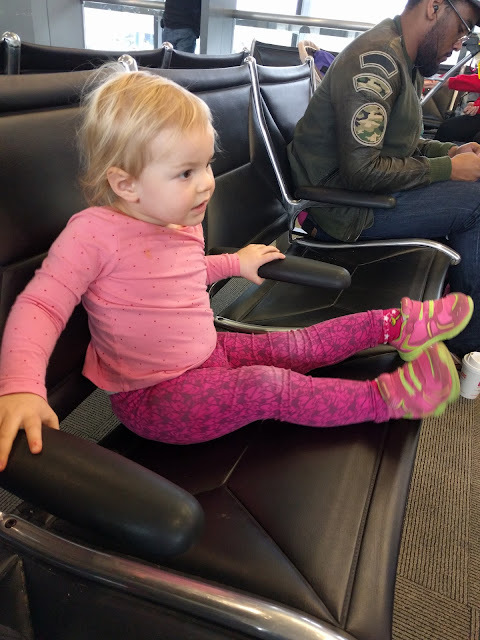 We left on a Tuesday afternoon, so we spent some quality time at the airport trying to run Audra down to give her a better chance of tolerating the next several hours of being in transit. 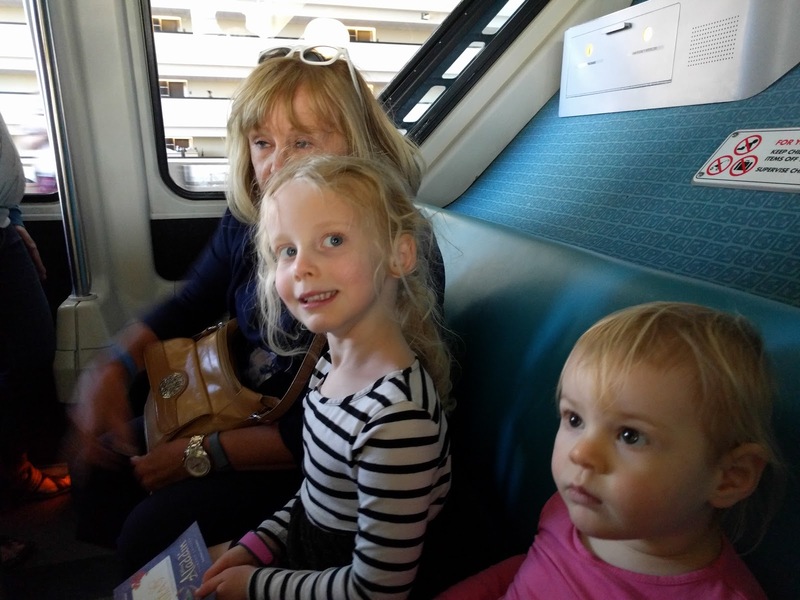 The kids had fun on the various trains we got to ride on, but by time we got our luggage and boarded the Magical Express bus to go to our resort, we were fading a bit. Thank goodness for the girl who sat down next to Audra and me on the bus, who Audra ended up hugging for the last part of the trip... which was a vast improvement from Audra refusing to get up from laying on the floor, which is what she had been doing before the girl sat with us. Audra and Ryan didn't go to the park on Wednesday, instead hanging out at the hotel and then going to Disney Springs to play at the Lego store and eat at Rainforest Cafe... only getting a little bit wet in the process and bypassing the normal crowds there too. 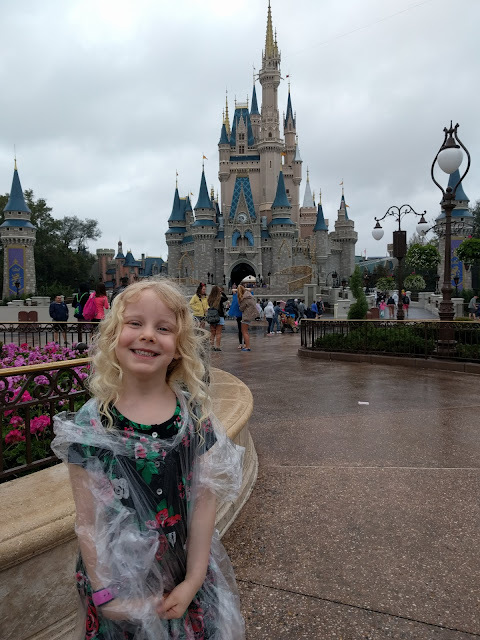 We arrived at Magic Kingdom, and Josie had clearly been paying attention during the preceding weeks when we kept asking if she was excited about Disney World and seeing Cinderella's castle... since she did the fakest excited face I've ever seen her do when we came in sight of the castle. We went right across to It's a Small World after that, with only a short wait for that ride too. And then we went over to Pirates of the Caribbean, which had a posted 10 minute wait, which seemed absurd enough... but then we walked right onto it. 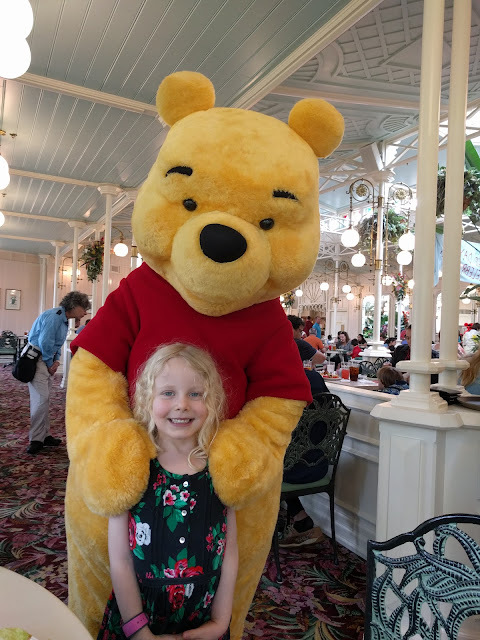 After that, we went to Country Bear Jamboree... also without a wait. 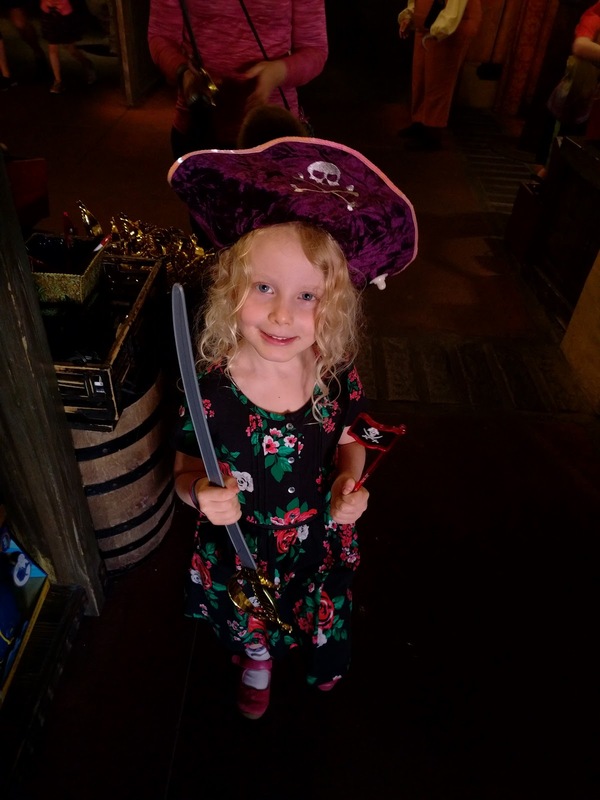 Given the pattern that seemed to be emerging, I thought I'd try to get us onto Peter Pan again. So while Josie was entranced with the singing bears, I managed to get FastPasses for Peter Pan within the next hour... and then was able to get FastPasses for Ryan's parents for the same time. We walked onto the Haunted Mansion ride next, which I was glad to see wasn't as terrifying to me (or Josie) as I remembered it being from the last time I rode it 25 years ago ;) Then we headed back over to Peter Pan, which was just as fun as it was the first time. Then we went on the Little Mermaid ride, and then over to the Barnstormer for Josie's first rollercoaster (where it only sprinkled a bit while we were on the ride, despite it pouring directly before and after). Then we headed over to the Crystal Palace for lunch - I had apparently waited too long to make lunch reservations by taking care of that only two months before our trip, so I had only been able to make a reservation for after 1pm for a buffet, which is usually not my favorite. 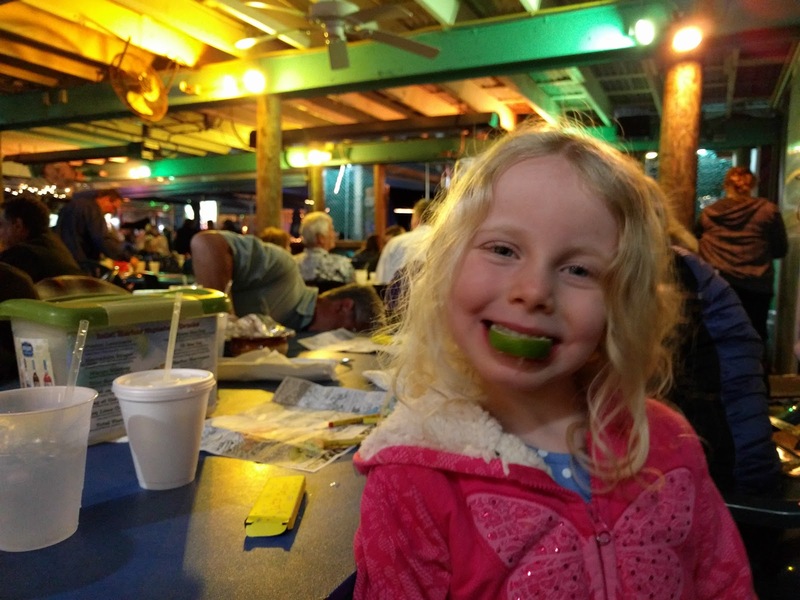 But the food actually was excellent (although apparently $40+ a plate! 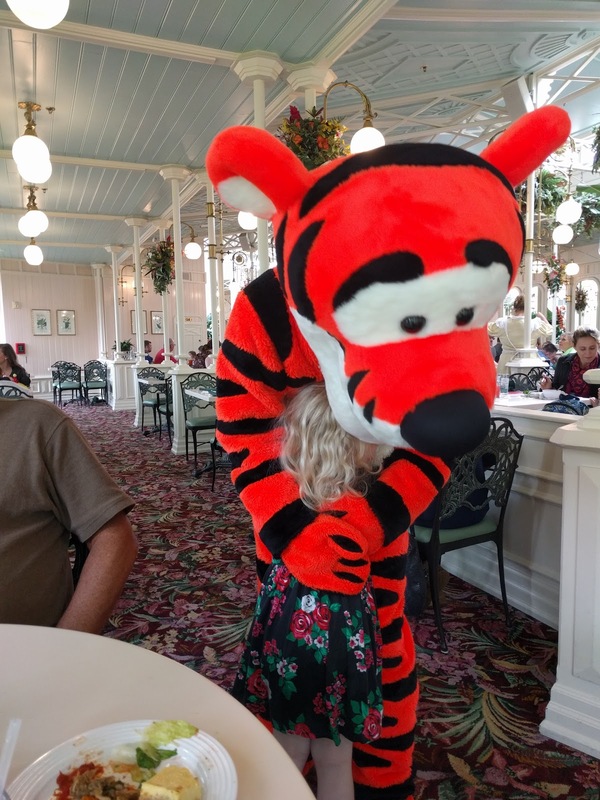 ), and Josie loved seeing the characters who were circulating through the restaurant throughout our meal. The whole day was just a bit surreal, since the rain wasn't bothering us as much as I expected it to (although I forgot to change Josie into her rain boots, so she didn't get spared from the wet feet the rest of us had) and we were able to get onto so many rides with minimal to no waits. One of the rides that took the longest was actually the carrousel, which had a posted 5-minute wait, but then something ended up happening so that it took another 20 minutes or so before the ride actually started. I don't do circle rides with my motion sickness, so I had plenty of time to contemplate the line to meet Anna and Elsa that was right next to the carrousel, which was only 35 minutes at that point. I had already told Josie she wouldn't be meeting them (since I wasn't able to get FastPasses and there was no way we were going to wait in line for 90+ minutes like is more normal), but for that wait-time, I was actually considering it. 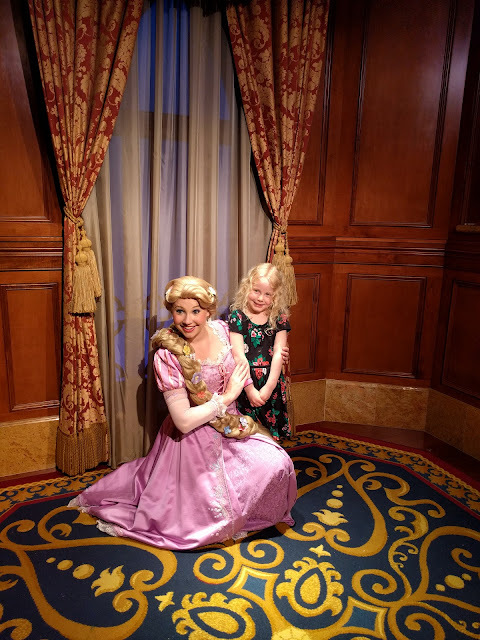 But when I gave Josie the option of getting to do two more things or meeting Anna and Elsa (whose wait time had gone up to over an hour by that point), she decided instead to meet Rapunzel and Cinderella and go on another ride instead (which turned out to be the railroad). After that, we headed back to the resort to meet up with Ryan and Audra, eat dinner there, change out of our wet shoes (and enjoy the blisters that those caused), and then hit the sack to get ready for Disney World - Day Two. Thursday's agenda was for Ryan's mom and I to take both girls to Magic Kingdom for half a day, while Ryan and his dad handled checking out of the resort and picking up our rental car. 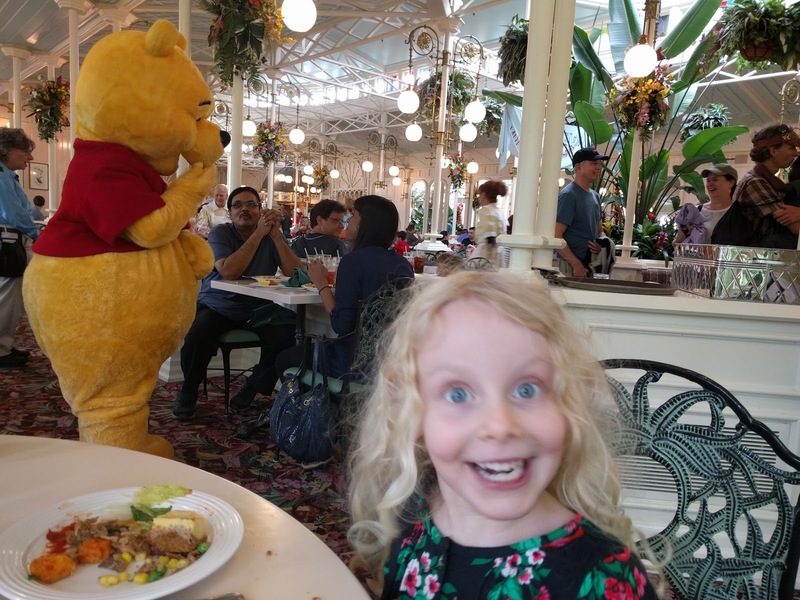 I thought Audra would be pretty excited about all the things to see, but I wasn't sure just how well she'd handle waiting in line... or really, any of the rides. 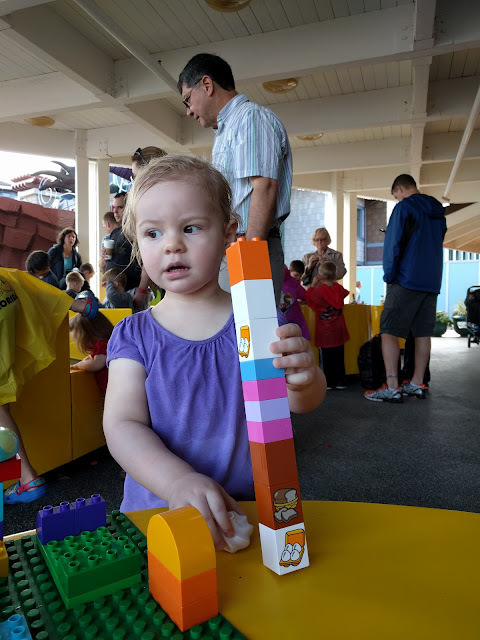 So after our super productive first day at the park, we significantly reduced expectations of what we'd be able to see the second day and I tried to pick rides more age-appropriate for her and minimize wait-times however possible. Step one of that strategy involved getting to the park as early as possible, which the girls weren't quite prepared for. 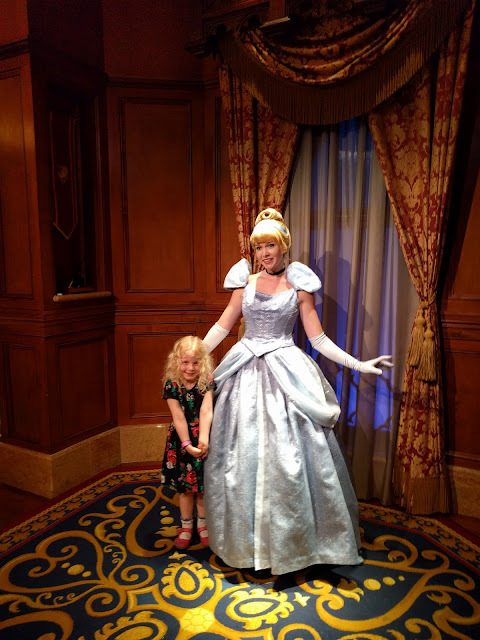 Audra particularly likes Tinker Bell, so our first stop was to meet her. I rather foolishly got a FastPass for this, and I'm pretty sure the workers (sorry, "castmembers" ;)) had to brush the cobwebs away to open the FastPass line for us... and we got to jump ahead of maybe 4 people in the non-FastPass line. Ah well. 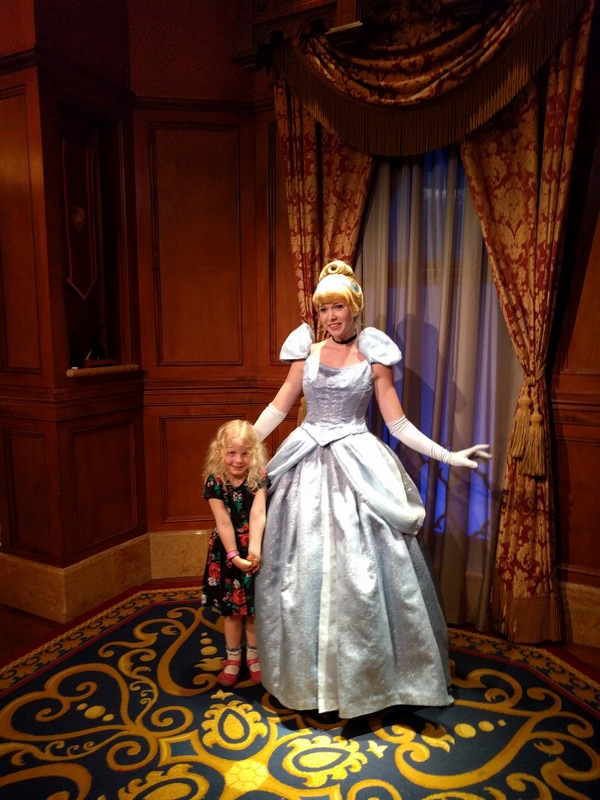 Josie was excited to meet Tinker Bell, and Audra was just dumbfounded. She just kind of stood there staring at her for a bit before turning to me with a look of glee on her face as she exclaimed "Tinker Bell?!" 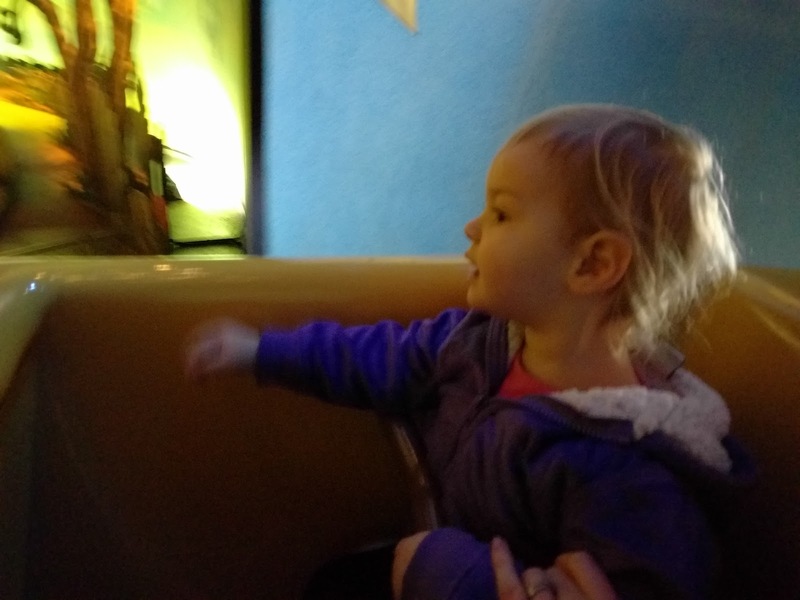 After that, we continued the Peter Pan trend and headed straight over to the Peter Pan ride. I wasn't able to get a FastPass for it, and even as early in the morning as it was, we still ended up waiting probably close to 45 minutes. This was the only ride I was willing to do this for, given how much we had liked it the day before and how much I thought Audra would enjoy it. I had the carrier with me for just this reason, so Audra went up on my back and luckily there are all sorts of things to look at in that line, so that helped the wait be not as painful as it could be. 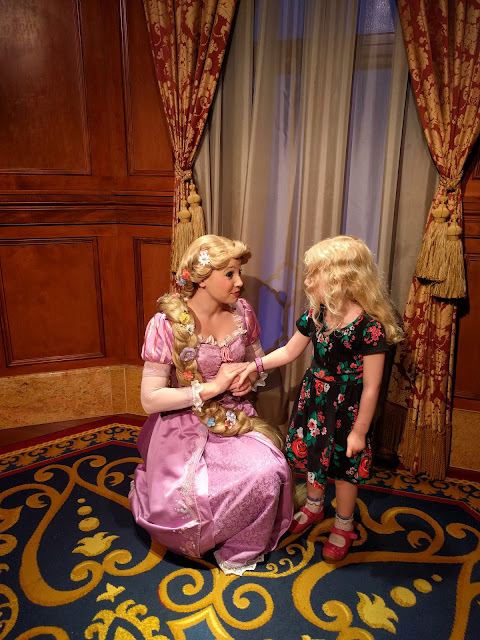 Audra liked the ride, and it even stopped for a few moments right at the part where Peter Pan and Captain Hook are fighting on the ship, so the girls got to have a more-than-fleeting look at that scene. Next up was Dumbo, our third and final FastPass for the day, and so really all we were actually planning on getting to. Audra liked this one very much (even though the control wasn't working so we weren't able to make our car go up and down - but perhaps that was for the best, given my motion sickness! ), and she tried to make a break for it when we were leaving it to sneak back on. We had time for one more thing before our lunch reservations, so we went over to the Tiki Room because it had a short line and we thought the girls would like it... and we were right. Josie was transfixed by the singing birds, and Audra danced, sang, and clapped all through the show, and then adorably said good-bye to all of the birds and totem poles as we were leaving. It was not quite as warm out as I had told Josie it would be (oops), so while we couldn't go swimming in the ocean, we were still able to go for lots of walks, on the beach and along a boardwalk in a park. 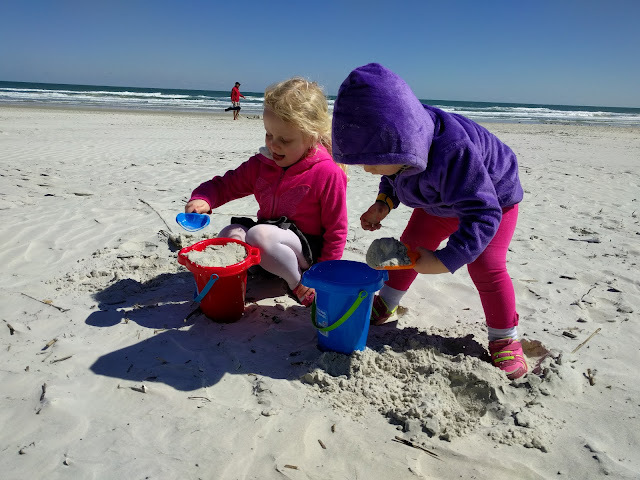 The girls had fun playing in the sand, and built sandcastles (Josie) or just moved sand from place to place (Audra). They also fed the seagulls, which was crazy to see since the wind was blowing just hard enough that the gulls were just flying in place. 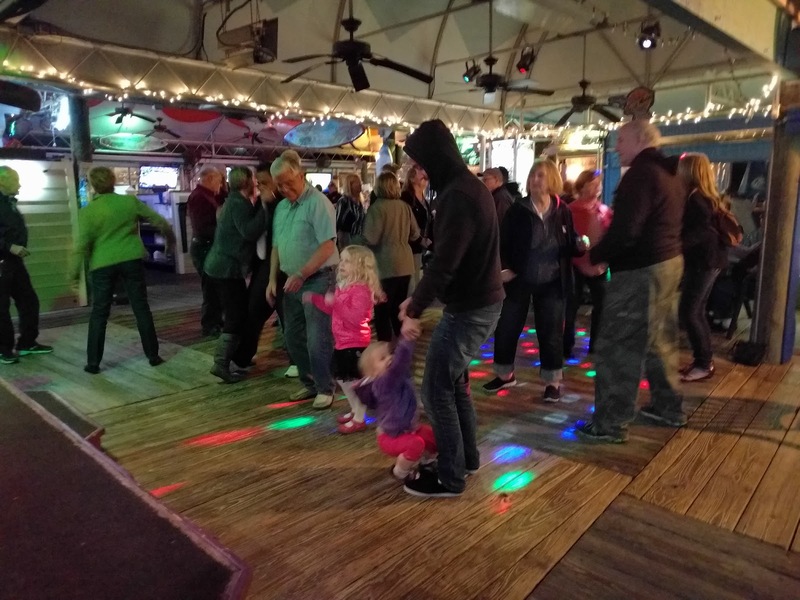 The second night in Ponce Inlet, we went out to eat at a restaurant with live music. We gorged ourselves on seafood, Josie discovered limes work in a pinch just as well as lemons do, and the girls (with Ed and Ryan) tore it up on the dance floor. Maybe it was the beer (singular) I had had, but it was the most awesomely hilarious thing ever to see Josie's herky-jerky dancing - mixed in with random moments of balletic grace - and Audra's sheer determination to jump and stomp around in her own interpretation of the music. 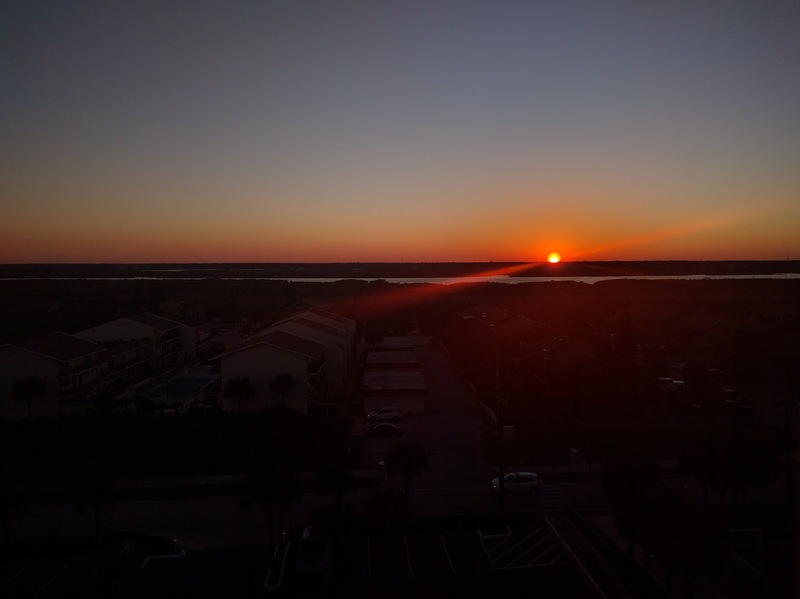 The next day was our last day in Florida, with our flight leaving in the afternoon. So we went out to the pool in the morning, as usual spending almost more time getting ready than actually being in the water. Audra still does not enjoy pools, as it turns out, so she entertained herself by crawling along the ledge that ran along the inside of the pool. Meanwhile, Josie and I ran out to stick our feet in the ocean - it seemed like a travesty to go all that way and not go in the water, but yes. It was very cold, so we let the waves wash over our feet and then ran, ran, ran back to the (now much warmer feeling) pool. 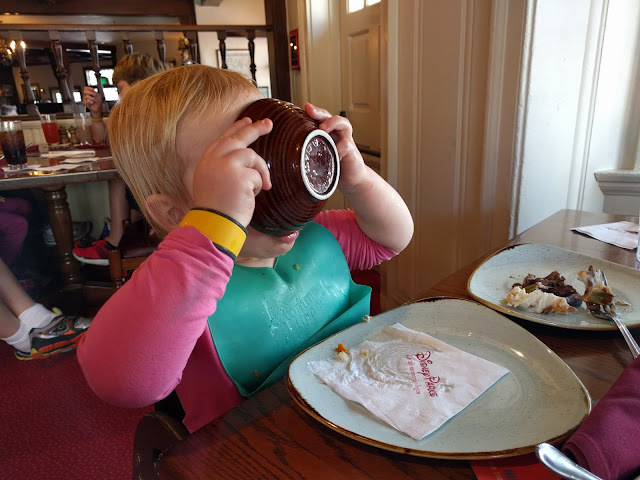 Then she finally recovered, we went back to the table, and she calmly and happily ate all her food like nothing had happened. Sigh. Two year olds. Then we hit the road to go back to the airport, where Audra screamed and cried the whole way until she fell asleep 5 minutes before we got there. So that was fun waking her up again, although she actually did pretty well with it, considering.